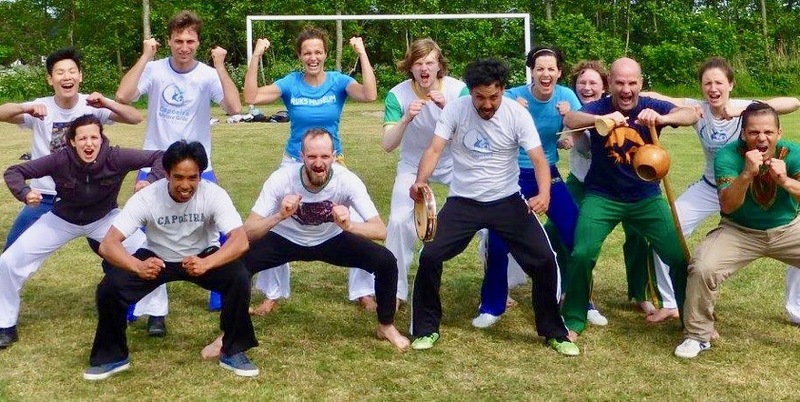 In the weekend of 19-22 May, Grilo Capoeira organised the event Primavera workshop Terschelling 2016 – Grilo Capoeira. An annual gathering in a wonderful resort on Terschelling; one of Holland’s most beautiful islands and part of the “Wadden” island group. As every year, it was a high quality capoeira workshop, without time pressure, in a nice and relaxing weekend together. With beautiful, calm and peacefull surroundings. Walks in the forrest and on the beach, fresh dives in the sea, workshops for the local kids of the island, bonfires, forro lessons, maracatu lessons and lots of capoeira. We can’t wait to go back again next year. See more of our capoeira events.